Picturing Disney: Disney Skins and Cases for All Your Favorite Devices! Disney Skins and Cases for All Your Favorite Devices! Hi everyone! It's been a while since I have been able to post something so I am thrilled to have something so awesome to share. 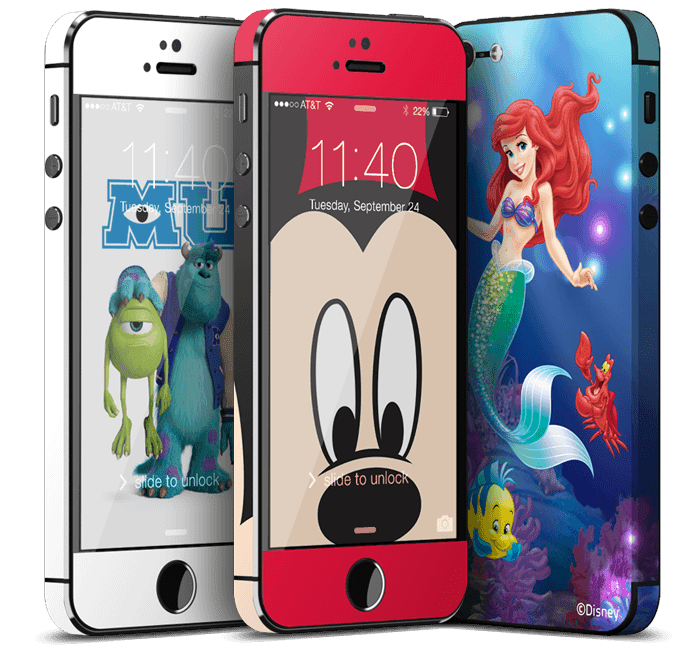 Recently I was contacted by Decal Girl about their great ever-expanding line of electronics skins features some of our favorite from the Disney family! These licensed cases and skins come on nearly all devices (find yours on the super easy-to-navigate site's drop down menu when you first head over). When they offered to send me samples I was thrilled but then when I saw them I found myself unable to resist using these freebies as part of a giveaway rather than just keeping them all to myself. The skins are great quality, come with specific and easy to follow instructions, and the customer service is friendly and easy to get in touch with. Additionally, there is a HUGE catalog of artwork. Everything from simply to artistic to the not-so-run of the mill Disney characters you may not see on other sites can be found at Decal Girl. My favorites are in the Muppets and Art of the Disney Princess sections. Head on over and check out the great deals (looks like there is a Mother's Day sale going on now mamas) and in a few weeks look out for the amazing prize pack featuring a Nook Ariel Skin and iPhone 5 Kermit skin! We have big changes coming to Picturing Disney this summer and around June 1st look out for the big announcement as well as the start of this great giveaway!